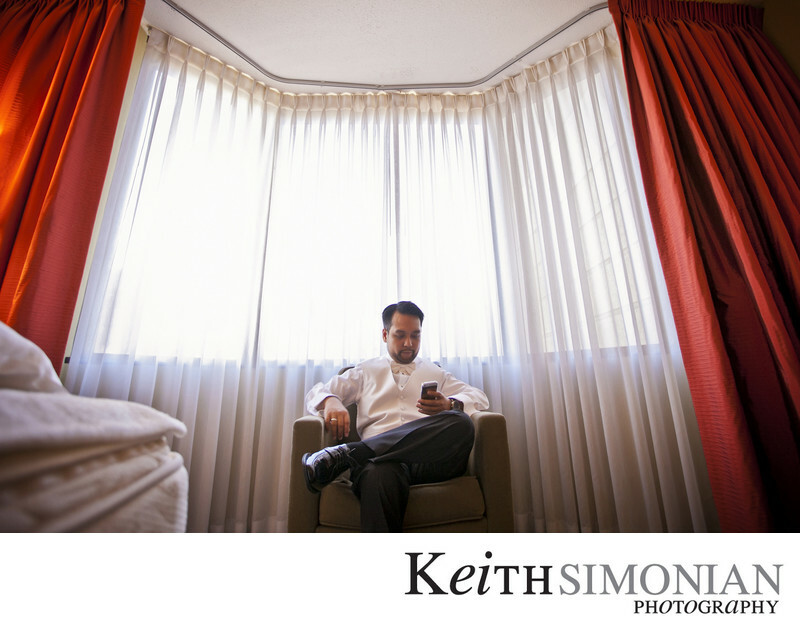 The use of a wide angle lens from a distance and the stark white curtains against the red ones give this photo of the groom taking a moment to reflect while he gets ready for the wedding ceremony an ethereal quality. Sometimes the natural instinct is to move in close, but pulling back with the camera opens the possibility of showing all that's going on. 1/60; f/2.8; ISO 800; 17.0 mm.